The top of the cylinder houses different buttons that control the light and sound capabilities of the device. These are the power, Bluetooth, light preset, and volume buttons. Around these buttons are the curved rows that provide control for the color and intensity of the unit’s lighting. A strip of rubber runs along the length of its body, which allows the speaker to sit horizontally without rolling over. Located on this strip is a micro-USB charging port and a 3.5mm audio jack. 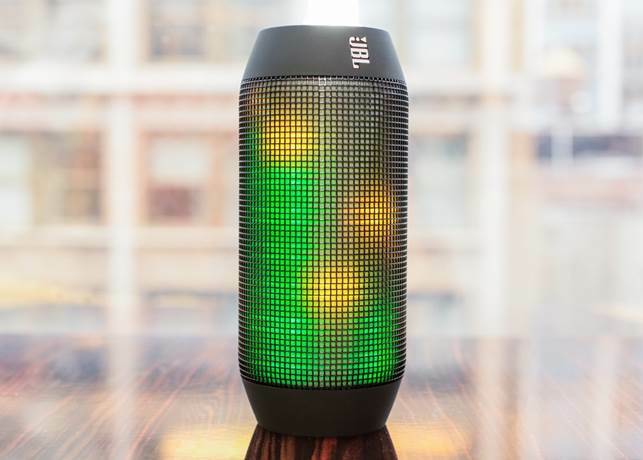 The Pulse lacks an attachment ring that is common in other portable speakers. This could have allowed it to be hung when used instead of just laying it down horizontally or vertically on a floor or table. When a light preset is selected, an array of LED lights turn on with different colors and patterns. Several settings are available, like a visual music equalizer and a rainbow transition. It can glow in one solid color, but most of the time, it mixes them to produce other colorful visuals. As the moniker suggests, these lights “pulse” in varying brightness. These patterns are more than just gimmicks though, since they light up in sync with the music that’s being played. On the box, it says that the Pulse is made for iOS devices, but we were able to use it seamlessly even with an Android device via its Bluetooth connectivity. Trying out the audio capabilities of the Pulse, it’s surprisingly loud for a portable speaker. It produces strong bass with a distinct pop and great midrange frequencies. Even though there is minimal distortion at times, its overall performance will not disappoint most listeners. The volume strength of this handy speaker is very impressive, and it not only plays loud, but it also plays with distinct clarity. In terms of battery power, we were able to use it continuously for about five hours, with the volume on the average level and the LED light show turned on. 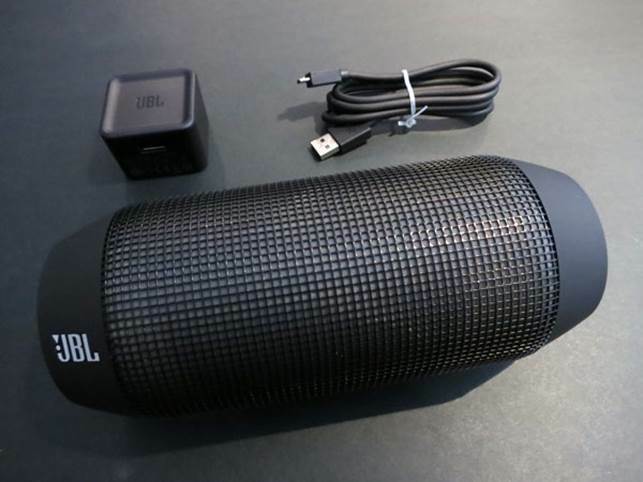 The JBL Pulse is a great compact speaker that you can bring to any party. It also comes with an entertaining light show, which is perfect at night. 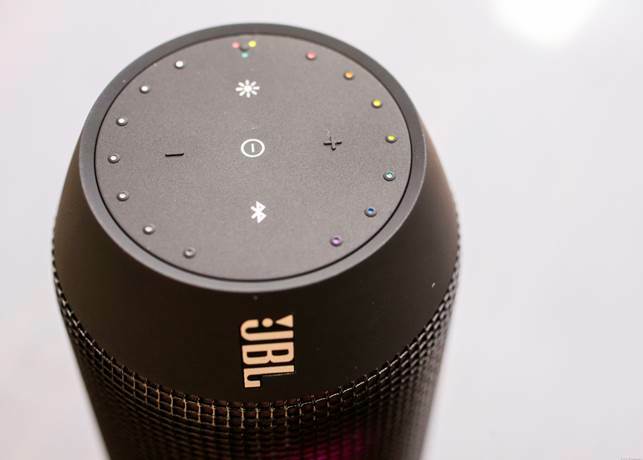 It’s available in the Philippines for a suggested retail price of USD 202.47 in stores you can find at the official JBL Facebook page found below.